The three Russians with the largest fortunes in California are Mikhail Lesin, Leonid Lebedev, and Mikhail Abyzov. Lesin, a former government minister and Kremlin advisor on mass media, was found dead in a Washington, DC, hotel room on November 6; his death is being investigated by the homicide squad of the local police. Lebedev, a former senator, was forced to resign his Federation Council seat in April of this year; he announced the sale of his last Russian oilfield asset this month, and he is now on the run from Russian fraud charges. Abyzov is alive and well; he is the Minister of Open Government in the current Russian cabinet. 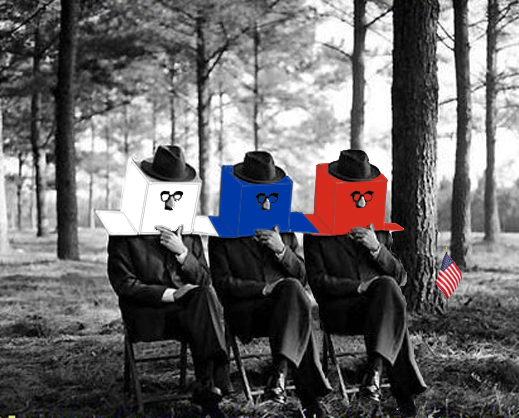 Because of the sanctions war between the US and Russian governments, the California connexions of all three men have been reported as suspect in the US and Russian press, triggering official investigations. In the US media reporting, Lesin, whose California real estate has been estimated to be worth at least $28 million, with an uncounted stake in a Hollywood film production company operated by his son, has been accused of money laundering. Since his death, he has also been accused in UK media reports and in the Russian social media, of dying after a secret attempt to negotiate with the US government. In the Russian media, Lebedev, with more than $100 million invested in US bank accounts, US Treasury bonds, and also a Hollywood film production venture, has been accused of disloyalty and fraud involving the Russian power utility, TGK-2. Abyzov has been accused by a Duma deputy of disloyalty, and a spate of media reports in June and July of this year have revealed that his three children hold US passports, while his wife holds a US permanent residency card. The value of Abyzov’s investments through a California-based investment fund, together with other US assets controlled through an offshore trust, approach $400 million. In the Lesin case the facts have been restricted by the Washington, DC, police, and by Lesin’s family, which has refused to make a statement. A police press release says that “on Thursday, November 5, 2015 at approximately 11:30 am in the 1500 block of New Hampshire Avenue Northwest… members of the Second District and DC Fire and EMS [Emergency Medical Services] responded to the area for the report of an unconscious person. Upon arrival, they located an adult male unconscious and unresponsive. DC Fire and EMS found no signs consistent with life. The decedent was transported to the Office of the Chief Medical Examiner where an autopsy was performed. A ruling on the cause and manner of death is pending further investigation. The decedent has been identified as 59 year-old Mikhail Lesin, of Russia.” The police called for “anyone with information about this case” to make contact. The Dupont Circle Hotel, where Lesin’s body was found, was asked to confirm whether he had registered under his own name, and for how long. A hotel spokesman acknowledged Lesin had been a client, but said the privacy of the hotel’s clientele prevents disclosure. The time of death has not been confirmed. It was reported as Wednesday evening, November 4, by Russian press, citing family members. The Chief Medical Examiner said the body was released on November 9; it won’t identify to whom. A family funeral has been reported to have followed in Los Angeles. Lesin (below, left) was reportedly living in Los Angeles at the time of his death. His son Anton Lessine (right) ran a film production group called QED Holdings, and was also living in the same city. Lesin has invested in his son’s film company, and this is credited in Hollywood industry reports as generating about $247 million in box office revenues. What share Lesin and Lessine may have earned from this sum is uncertain, and there is litigation under way in the California courts as Lessine challenges one of QED’s former partners. Lessine’s lawyer, Steven Marenberg, refused to respond to a request for Lessine’s comment on his father’s death. Russian business associates of Lesin’s say his wife Valentina is living in Geneva, Switzerland, and the family has been too shocked by the circumstances of Lesin’s death to make a public statement. The marriage had ended, the sources say, and Lesin was reportedly living with Victoria Rakhimbayeva, a Russian of Kazakh origin, who gave birth to a child in September. She has said in social media that she and Lesin were planning to move to New York. The Russian social media have also been speculating on Lesin’s sexual orientation. Washington sources confirm the Dupont Circle area of Washington, and the Dupont Circle Hotel, have a reputation for homosexual assignations. A London newspaper has claimed Lesin may have been murdered to prevent him cooperating with the US Federal Bureau of Investigation (FBI). But a purported FBI investigation of Lesin – amplified last year by the US state media organization, Radio Free Europe (RFE) – has been dismissed by Russian media industry sources as groundless. According to the RFE reports, Lesin had purchased $28.4 million in Los Angeles real estate through companies called Dastel Corporation and HFC Management. They were being used as homes, according to local court records, by Lesin, Lessine, and Lesin’s daughter, Ekaterina, an employee of the Russia Today (RT) media group. RFE alleged the value of the real estate exceeded Lesin’s earnings as a government official, and amounted to “dirty money”. RFE omitted to report Lesin’s links to Video International, Russia’s largest advertising agency. Lebedev’s links to California are financially smaller than Lesin’s, but his US investments may be larger. 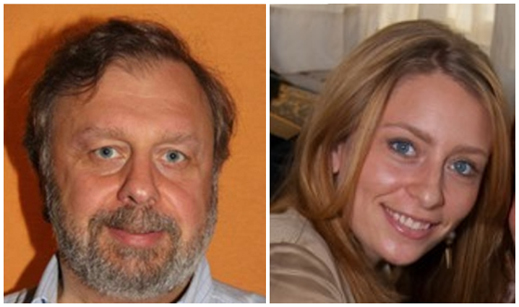 Lebedv (below, left) has been the financial backer of his daughter, Julie Lebedev’s (right) film production company, Code Red Productions. Records of a Cyprus trust owned by Lebedev indicate that at the start of 2014 his assets in the US included $149 million in cash deposits in three US banks and $12 million in US Treasury bonds. His annual income from these assets was almost $9 million. Lebedev’s trust is also reported to be the holder of UK Government securities. The origin in Russia of Lebedev’s offshore funds is under investigation by Russian prosecutors in more than one region, and at the Ministry of Internal Affairs (MVD) in Moscow. Russian court records have counted almost $240 million Lebedev has been accused of stealing through a chain of companies associated with his Sintez group, ending up in Cyprus. A Russian Government request for the Cypriot authorities to open Lebedev company registers and tax filings has been confirmed as triggering criminal checks on the island. Sources familiar with the case say the money trail from Cyprus to the US has exposed Lebedev to investigation by the US Treasury’s Financial Crimes Enforcement Network (FinCen). For more details, read this. Lebedev has been a US passport holder in the past; he lived in the US during the 1980s and part of the 1990s; and his first marriage was with an American. Earlier this month it was reported in the Moscow press that Lebedev’s last remaining oilfield asset, Negusneft, had been sold to Yury and Alexei Khotin. Lebedev had been asking between $100 million and $200 million for the asset two years ago. But its production and revenues have been falling, and it was lossmaking before the collapse of the oil price last year. Debts of Negusneft have been publicly reported at more than $100 million. The Khotin father and son have not announced what debt terms they agreed with Lebedev, or the cash compensation they have paid for the takeover of Negusneft, if any. The Khotins exist only in name; they may be fronting for others, including Lebedev. The Khotins allow the release of no photographs of themselves nor of a corporate address. They also are reported to be a major stakeholder in the UK-listed Exillon Energy. With oilfields in north western Siberia, Exillon is reporting a halving of its profits in the first six months of this year to $13.2 million. The Khotin family stake, if they are the beneficial owners, is now worth £52 million ($83 million) – less than half what the London Stock Exchange (LSE) was told they paid two years ago. The spokesman for Exillon, Tom Blackwell, (right) said in Moscow today he knows the Khotins own “a sizeable stake” in Exillon, but he added he does not know the size of the shareholding, or the director they appointed to the Exillon board. Blackwell adds he has never met Yury or Alexei Khotin. When it was reported in Moscow in December 2013 that the Khotins were buying into Exillon, their name was not mentioned. Instead, Exillon reported to the LSE that an entity called Seneal International was the listed purchaser of a 29.99% shareholding. Lebedev’s Sintez holding is also not commenting on the reported deal. For more details of their management of Negusneft, read this. If a merger between Negusneft and Exillon, or a takeover by the Khotins through Seneal is under way, the Federal Antimonopoly Service (FAS) must approve. Two weeks ago, the FAS said it had not received an application for approval. Today, the FAS repeated that no application has been filed. 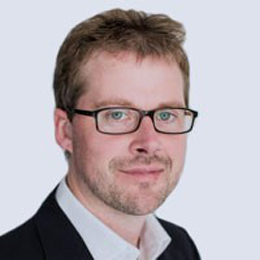 A move by Lebedev involving Exillon is also likely to attract the UK regulator, the Financial Conduct Authority (FCA). In 2012 it fined Exillon for related party dealings benefitting the chief executive and control shareholder at the time. 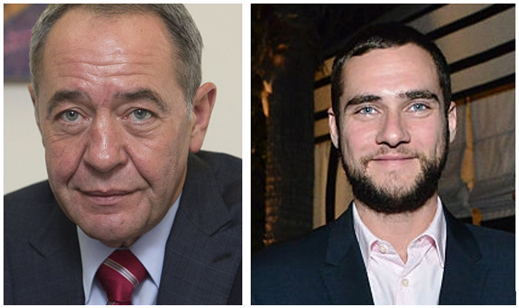 Abyzov’s case is unusual because of his prominence in the Russian government; because he controls more US asset value than Lesin and Lebedev combined; and because like them, his family lives in assets he appears to have paid for in California. Under the new Russian regulations which came into effect in August of 2014, the disclosure is required to the Federal Migration Service (FMS) of dual nationality, and this applies to the children of Russian passport holders. The disclosure requirement also applies to holders of permanent residency in other countries. Abyzov, who was appointed a presidential advisor by Dmitry Medvedev when he was still president in January 2012, then a cabinet minister five months later, is also obliged to disclose his foreign asset holdings. In June and July of this year, the Russian press published evidence indicating that Abyzov’s (below, left) three children had been born in Illinois and California, and are holders of current US passports. The oldest, 21-year old Daniel (centre), appears in a California directory to be listed at a Los Angeles address; noone answers the telephone at the location. Mikhail Abyzov’s wife, Ekaterina Sirotenko (right), appears to have held a US permanent residency card since 2004. A year ago, following investigations in California and the UK, it was reported that Abyzov had significant assets in California, mostly in Silicon Valley technology developers. The two vehicles through which Abyzov held these assets are Digital October and Bright Capital. Executives at these entities have confirmed that commencing in 2011, and by the last quarter of 2014, the invested asset value of their portfolio was at least $240 million, and that Abyzov held at least $100 million of that, probably more. Reports of accounts of a Cyprus trust controlled by Abyzov suggest that in 2013 and 2014 he may also have held US government bonds worth $250 million, plus cash of about $100 million in a US bank account. The annual reports of the minister’s foreign assets and income do not identify these interests. A State Duma deputy has requested federal prosecutors to determine whether Abyzov holds a US passport. Informed sources say he does not. They explain that for a time Sirotenko lived in the US apart from her husband, and that subsequently they reunited in Moscow. Abyzov was asked whether he had notified FMS of the US passports of his children and the residential status of his wife. He declined to respond.